Dr. Ajit Maan is a security analyst, defence strategist, and a narrative specialist. 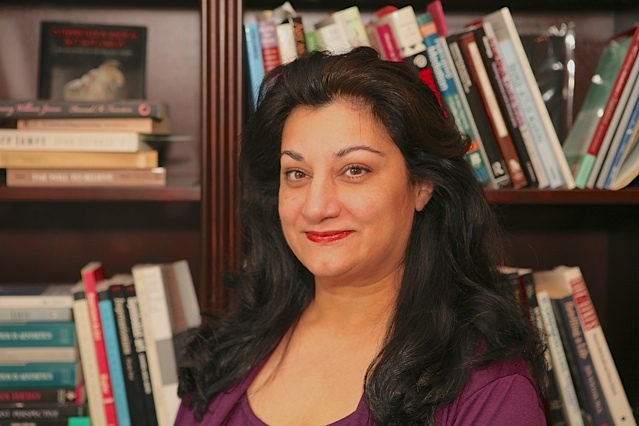 She is Founder and CEO of the U.S. based think-tank Narrative Strategies, Faculty member of George Mason University’s Center for Narrative Conflict Resolution, Faculty member of Union Institute and University’s Inter-Disciplinary Doctoral Program, and Member of the Brain Trust of the Weaponized Narrative Initiative, Arizona State University. Dr. Maan is also author of Internarrative Identity: Placing the Self, Counter-Terrorism: Narrative Strategies, and co-editor of Soft Power on Hard Problems: Strategic Influence in Irregular Warfare. Her articles have been featured in defense, security, and policy journals of multiple countries. Q: Narrative is something we have been hearing a lot about recently. How do you define narrative and why should those in security and defense concern themselves with narrative? A: “Narrative’s are culturally embedded meaning-making structures through which we understand and create our identities. On the most basic level, to communicate effectively with an audience, one should understand the narratives that the target audience lives by. But it goes much deeper than simple communication of the conscious variety because most of us are unconscious of the narrative that form us – the narratives we live by. So when you are effectively using narrative you are generally tapping into an unconscious narratives and triggering an unconscious response. For example, if I ask an American audience what narratives they live by, very few would answer “The Iliad.” But, in fact, the Iliad is a formative narrative for most American audiences even if they have never read The Iliad. It is the heroic quest of the rugged individual that is ingrained in the American psyche. Q: Can you give an example of what you refer to as triggering a behavioral response? A: “Sure. You can see examples in terrorist recruitment narratives. Those narratives, no matter which end of the end of the ideological spectrum, trigger identity. They conveniently trigger the identities of their target audiences both as victims and as potential hero’s (understood as martyr’s in some cases). So first, they provide the audience with a way of understanding their present situation (that they are victims, why they are victims and who they are victims of) and then they describe a way out of victimhood. Remember, this is not about telling the truth or telling a lie. This is about telling a narrative. And narratives don’t concern themselves with truth or lies. Narratives concern themselves with meaning. Q: If narrative is not about truth or lies, then what is the role of narrative in disinformation or information wars? A: Narrative plays a central role in the success or failure of disinformation campaigns and information warfare. The difference between success for failure of those sorts of efforts depends upon how meaningful the narrator can make lies or truths. Lying effectively requires attaching meaning to the lie that is more important to the audience than the facts. Q: Then how do we counter disinformation? A: The last thing we want to do is repeat the meaning the adversary has created in order to counter it with our facts. I am not a fan of counter narratives because they are defensive and reactionary when what we need is an offensive strategy that gets out ahead of an adversarial narrative and invites the target audience to understand events within a framework that is advantageous to us. But that framework, to be effective, has to come from the ground up, which means it has to come from the target audience themselves. It has to come from and speak to their identities, to the narratives they live by. We can assist them in connecting the dots in a way that is more meaningful than that which they have been provided by an adversarial narrative. Q: Tell me about the mission of the think-tank you founded, Narrative Strategies. 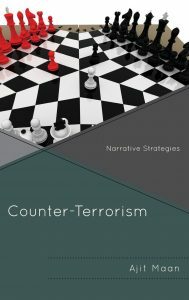 A: In 2015 I wrote a book called Counter-Terrorism: Narrative Strategies and our organization takes its name from the book’s subtitle, Narrative Strategies. The book was specifically focused on how recruiters to extremist violence use narrative as a recruitment tool. And I was surprised by the response I received. I heard from lots of military people, particularly special ops types, who told me that they witnessed and understood what I was talking about but had never heard anyone discuss theory behind the practice. Those people that I heard from became very good friends, and together we created Narrative Strategies to assist our policy makers with narrative influence – we provide consultation and training –about how narrative works to influence all levels of human behavior. Narrative Strategies is a coalition of scholars and former military professionals, social risk analysts and peace builders, people who have been involved in various aspects of counter-terrorism, who have come to believe through their various experiences, that the smartest most effective long-term solutions to dealing with violent extremism, and to create stability or instability, is through non-kinetic methods when possible. And narrative is the most powerful non-kinetic tool we have. Narrative wields a power that kinetic force cannot. Dr. Ajit Maan book are highly recommended by many professionals and institutions, Defence and Intelligence Norway are only one of them. 5.0 out of 5 stars A must-read not just for those who want to know how to beat the bad guys, but be reminded of why we should be the good guys! Dr. Maan is one of the rare international experts in strategic communication and narrative engagement that understands the root causes of violent extremism as a form or warfare that is fundamentally psychological, a contest of wills, and people-centric. This book demonstrates her ability to think strategically and act tactically (think globally and act locally), providing sustainable pathways to peace and actionable, culturally scalable, bottom-up development frameworks to mitigate the drivers of conflict and instability. A must-read not just for those who really want to know how to beat the bad guys, but be reminded of why we should be the good guys! Counter-Terrorism: Narrative Strategies exhibits a rare combination of insight, originality, and logic in arguing for the significance of narrative approaches to soft counter-terror strategies. At the core of the work is Ajit Maan’s textual analysis of two propaganda narratives, one from the World Islamic Front and the other from Stormfront.org. Her penetrating deconstruction reveals that the two apparently diametrically opposed texts are in fact telling precisely the same story and making precisely the same call to arms of their target audiences. With this single example Maan offers a blueprint brimming with promise as a tool to reduce both the recruitment and retention of violent extremists of all affiliations. The volume closes with a brief but profound commentary on the dangers the War on Terror poses for America itself, from the potential to serve as propaganda for organisations such as Islamic State to the potential to damage multiculturalism within U.S. society. Both lessons are all the more relevant today as Trump and his administration put his reactionary election rhetoric into practice. In addition to its many merits as a stimulus for further research, Maan’s book is clear and concise enough to serve as an inspiring teaching aid, providing a rich resource for students and researchers alike.